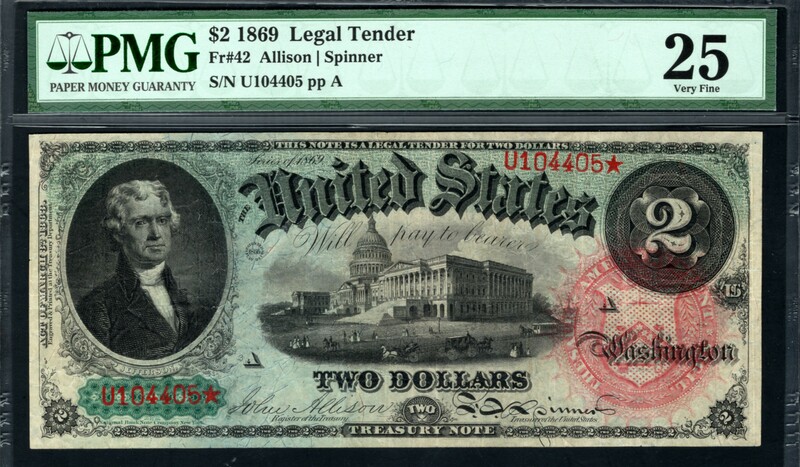 1869  $2 F42. The "Rainbow" deuce. PMG Very Fine 25. 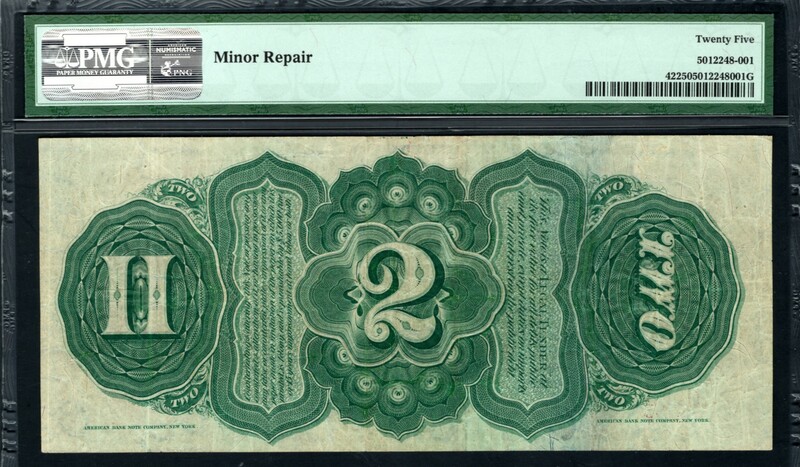 The 'Minor Repair' cited is barely visible from the back at the top of the centerfold. Here's a well-centerd and extremely attractive example of this classic. Serial U104405. $1495.